Carriers and manufacturers are still trying to figure out how to sell smartwatches, and the latest idea is to make watches your phone away from phone. The LG Watch Sport and Verizon Wear24 are two Android Wear watches with LTE connectivity, allowing you to pop in a SIM card and receive phone calls and texts without a Bluetooth connection to your phone. 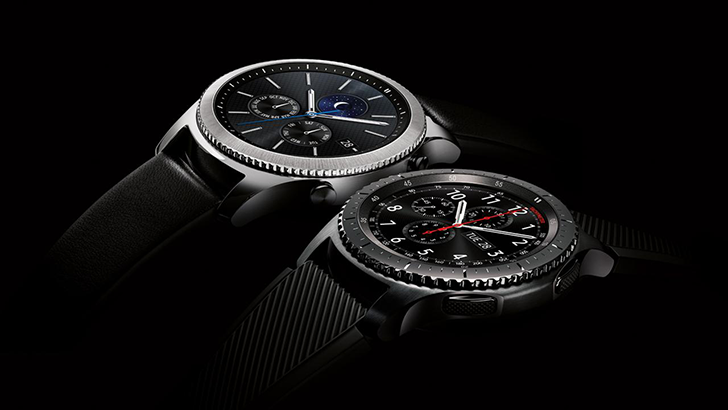 The Gear S3 and S3 Classic are Samsung’s latest Tizen-powered watches, but until now, only a Wi-Fi version of the Classic model was available. An LTE model was announced in March, and it’s finally available today at AT&T, Verizon, and T-Mobile. T-Mobile is selling it for ~$384 on a 24-month payment plan, with Awesome Credit. Verizon offers it for $349 on a two-year contract. Finally, AT&T is selling it for $249.99 with a qualifying two-year contract. T-Mobile and Verizon also allow you to buy the watch at the full $399.99 price. The watch supports each carrier’s sync feature (AT&T NumberSync, Verizon NumberShare, or T-Mobile DIGITS), so you can send/receive calls and texts with your usual phone number as long as you have an LTE connection. You can buy it from each carrier at the source links below. As some of you have pointed out, the Gear S3 LTE was already being sold at AT&T and T-Mobile. The only carrier that didn’t previously sell it was Verizon.